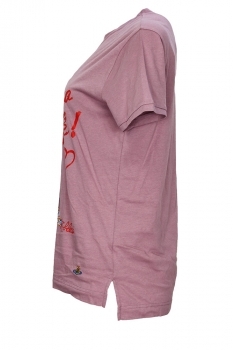 Vivienne Westwood the 'The Get A Life Peru' short-sleeved T-shirt in pink. 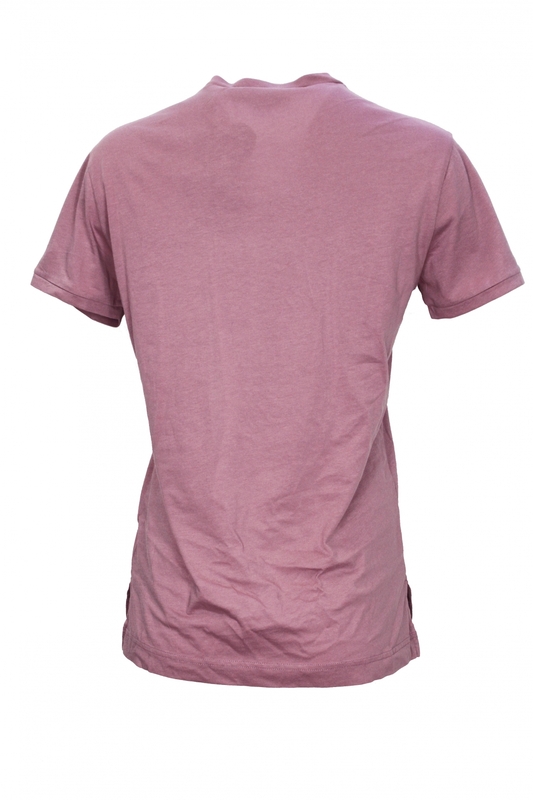 In a clean, sharp pink stretch cotton, organic bio cotton free of chemical pesticides, The Get A Life Peru T-shirt refers to the idea that as humans we must stay focused to gain perspective and ‘Get a Life’. Print with 'Get A Life' with heart and 'Don't get Killed' in red with embroidered orb logo at bottom left. Round neck. Vented at each side at the hem.